Habit: herbaceous perennial covered in short stiff hairs. Basal leaves are rounded with shallow palmate lobes and round-toothed margins, the leaves nearing the top have deeper lobes. 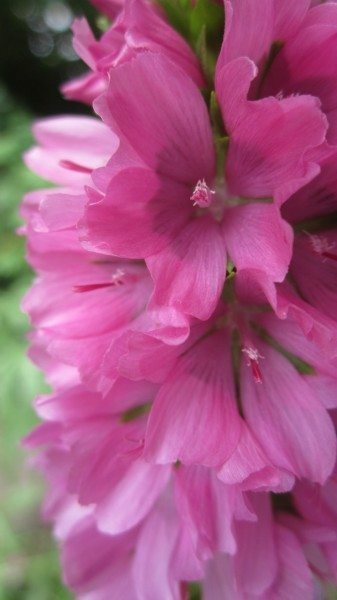 Dense, pink flowers are in a spike like inflorescence at the top of the plant. Fruit is round and composed of small wedges. Ecology: found in Oregon, Northern California and the Sierra Nevada in moist meadows and on stream edges at elevations from 3600-9800 ft. (1100-3000 m).